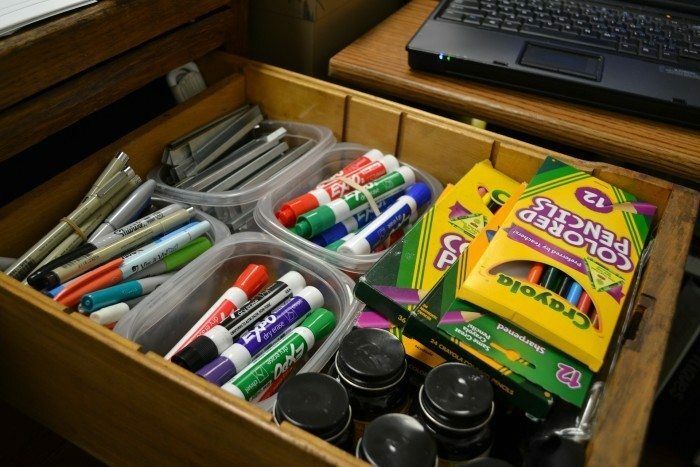 I know you’ve got at least one junk drawer and you’re probably picturing it right now, but I’m willing to bet you actually have several junk drawers. Probably one or two in the kitchen, a living room end table, the bathroom, and the nightstand. Empty them all out and see what you really need to keep!